Depression is one of the most common mental illnesses of our time. Not only does depression make you suffer, it locks you in a vicious cycle of fatigue, apathy, social isolation, and sadness. How to Not Be Depressed explains the cycle of depression using scientifically-backed knowledge and offers a practical guide on how to beat depression, without drugs. 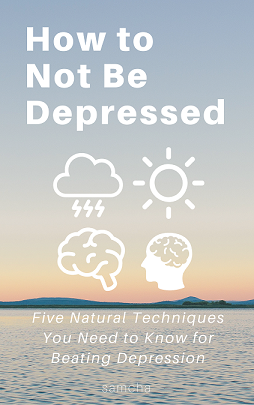 Drawing from studies on the brain, nutrition, exercise, meditiation, and willpower, this book provides simple but effective techniques you can use immediately to fight the cycle of depression and have a kickass life.